Root master, 09 Nov 2012Yes finally rooted.San diego and Xolo X900.Can you Tell me Where the Instruction are to Root this the San Diego, Also can this phone be Unlocked Now. Yes finally rooted.San diego and Xolo X900. When is it coming to Kenya? ics is here ! ! ! Samuel, 09 Oct 2012Ball ache without ICS, needs to be updated ASAPit is out i have it. raoulduke, 27 Sep 2012Still no sign of the ICS update promised months ago. Don't even consider buying this phone un... moreUnbelievably comments regarding compatibility, I have upwards of 50 apps on my san diego with absolutely no issues at all this is a fantastic phone the price is excellent and I wish people would keep any "failings" they believe exist with it in sharp contrast. Still no sign of the ICS update promised months ago. Don't even consider buying this phone until that happens - app compatibility is a real problem until 4.0 hits. I have neen trying to root it for previous 6 weeks will anyone tell me how to root it. Solo, 14 Aug 2012Only chipset with Wi-Fi Display but no end products built-in this technologyThere are WiDi receivers available in market that can be hooked to TV and can use the WiDi feature. Netgear and D-Link make them. I have had this phone for nearly 3 weeks now and I can not fault it one little bit. 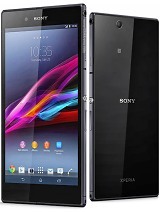 This is an amazing phone for for such a small price! phone an excellent 5mp camera instead of an average 8mp one. The pictures it takes are fine, not as good as the W995 I have just replaced but they are still good enough. The HD video recording could be better though. quick or smoothly. The UI runs really smoothly too with no stuttering or lag. memory, yes if you manage to get the back of the phone off there is a micro SD card slot but it is not a functioning one. Also as this is the first Intel phone in Europe most games have been made to run with ARM not Intel so quite a few of the top games are not compatible at the moment but this will change in the very near future. All round this is a fantastic phone and well worth the money, also the battery will last a full 24 hours easily under normal use. Obviously as with all phone's these days, hammer games and youtube all day and you will need to charge it before the end of the day. All I am waiting for now is the ICS update, I hope this will arrive before the already hinted at September release date. To the person that asked if it has Wireless Display, yes it does. I have not used it yet so can not comment on the performance but it is there to be used. Aayush, 04 Aug 2012they are same phones......Does this phone have WirelessDisplay (Intel WiDi) technology to stream videos directly onto TV? I wanted to ask that this phone support the USB OTG or not because i have XOLO x900 and they both have same configuration.